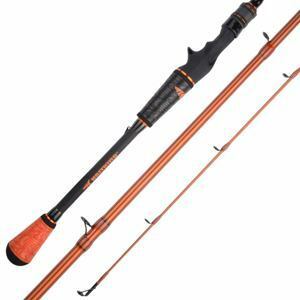 If you enjoy advanced and professional fishing, you are definitely going to need the best spinning rod. 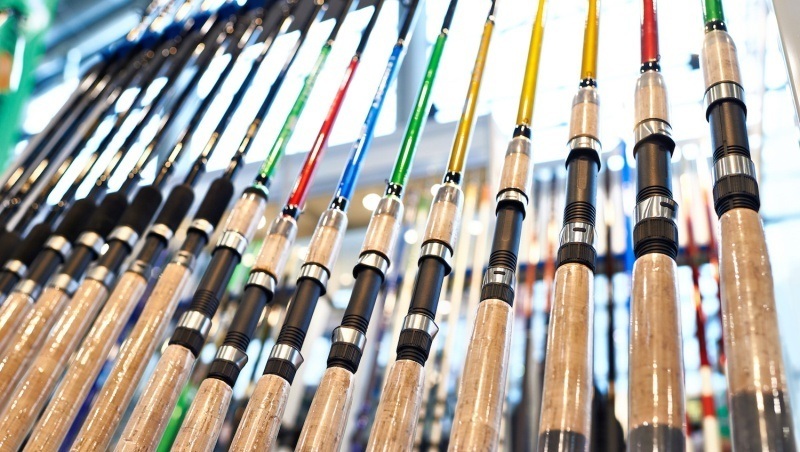 However, with thousands of fishing rod brands available on the market today, how do you know which one is your perfect choice, or at least live up to your expectation? Searching for a new fishing rod is going to be a daunting task, for example, you will spend hours reading reviews online or even listening to words of mouth or advices from your anglers friends club. 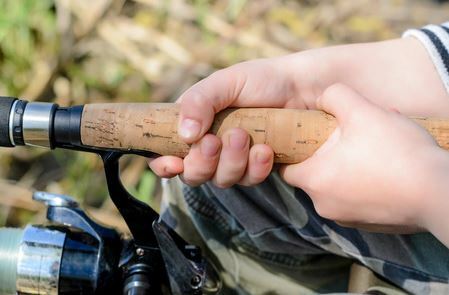 To smooth things over, we present you with our 8 best handpicked spinning rods that is famous on the market for a reason and approved by professional anglers. We will also help by offering the most comprehensive buyer’s guide that will help with your search for the perfect spinning rods. The first thing that makes this particular model so special is the wide choice of versions. You can choose between several models which have different size and different tension calibrations. We tested the ultralight/fast version, but there are heavy and slow models available. The size starts at 5 feet and reaches 8.3 feet. The next best thing is the fact this spinning rod is made of SCII graphite. This material is considered to be the highest possible grade of graphite, resulting in a huge difference under the usability and the durability department. Besides that, the whole unit is pre-tuned and set for the advanced users and for heavy-duty applications. It comes with the Kigan Master Hand 3D guides, which are made of a special type of aluminum and coated with black frames. Some of you will appreciate the fact this rod is designed and actually made in the United States. As you already know, guides are an essential factor when looking for a new spinning rod! Pair it with the best spinning reel and you will have the perfect match. The next model on our list is the well-known Fenwicks HMG. The unique thing about this model is the fact that it comes in a one or two piece package, which is an appealing choice. It is also available in different sizes as well. We tested a few versions and found that all of them are made of the same materials and comes with the same features too. At the moment, this is one of the best reel seats available on the market. It is known due to two reasons. The first one is the affordability, which is decent and the second one is the quality of the unit. It has been designed by professionals for advanced fishermen, so you can get a clear picture of how superior the seat is. The handle is far from ordinary and common. 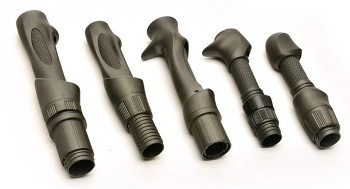 It is a state of the art TAC handle, which has been designed in order to provide the maximum level of grip at all weather conditions. We actually tested it in wet conditions, which are common for fishermen and we were impressed by the results. At the same time, it is comfortable to use and also durable. 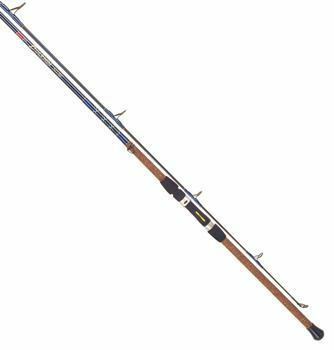 The model we have here is a superior spinning rod and is one of the most popular surf fishing rod at the moment. Reasons are simple. It is an advanced model that is made according to the latest standards and offers superb performances. 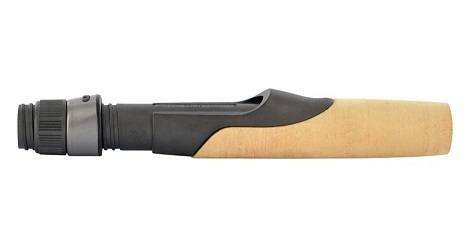 This may be the best spinning rod for some of you due to the fact it is made of the best possible SCII graphite. This material is commonly used thanks to its lightness and strength. 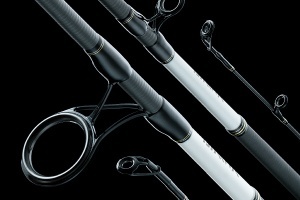 Keep in mind that this material is reserved for high-end spinning rods, so you won’t get to see it in cheaper models. The attention to details is on a high level and it is probably one of the best in the class. You can see this claim if you take a look at the guides. They are made of zirconium which makes them extremely durable, strong and resistant to wear and tear. This is just one example of the many reasons why we believe the perfection of this spinning rod is guaranteed. This is truly the king of all rods when it comes to the value for money and the implementation of the latest technologies. An interesting addition has to be the number of available versions. They are 15 of them. 4 are spinning rods and 11 are casting rods. Each user can choose the specifications he finds the most appealing. Cool, isn't it? The name of the tech sounds appealing, but it is even more impressive when you understand what it actually means. The carbon mixture of this rod is stronger than usual rods. 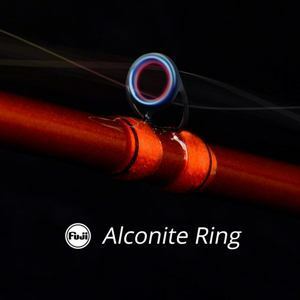 This gives 30% better performances and a lower weight compared to conventional graphite rods. At the same time, it is more durable and more resistant to breaking and wear. 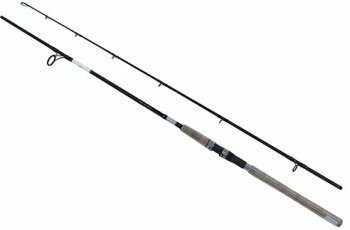 This rod here is a professional model, made according to the latest requirements and improved by constant feedback from professional users. One thing for sure, this rod will last and is very suitable for tournaments. 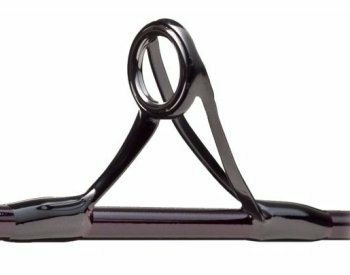 In addition, it comes with a superior handle which is really a state of the art and also extremely comfortable. The Tica UGSA Series rod is a masterpiece. It is popular and also a desirable unit which is made according to the latest user requirements. We liked so many different things about this model. For example, it is affordable, comes in a pack of one or two and the manufacturer has so many different versions of the rod. Try to remember that this is an advanced, professional model, so it comes with corresponding features. If you are planning to use it for a long period of time and for heavy-duty applications, then getting this rod will be the right choice. This is a special and rare type of guide which comes with its own unique advantages. The tested model is extremely easy to use and the mentioned feature decreases the heat produced from friction. What this means is that the reel seat is optimized for heavy-duty usages. It will definitely serve you for years and many users actually praise this model for its durability and usability. 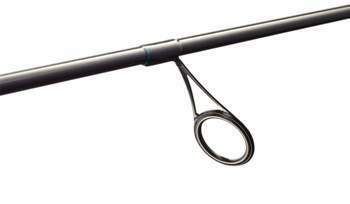 This model has been designed and made as an inshore spinning rod. Choose this model if this is the way you go fishing. In addition, we must add that the tested unit is currently on discount. So, make sure to check them out! As the name suggest, this spinning rod is made of X45 Bias Graphite fiber. 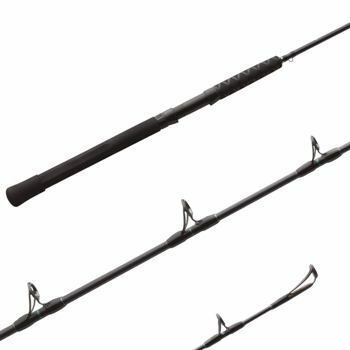 What this means is that the rod is more durable than some conventional models and at the same time, more lightweight and flexible. We basically like models made of this material and graphite in general. Previous version was known as the best inshore spinning rod 2016. The handle is made of cork and it is easy to use, simple and elegant. There is no point in adding that it is comfortable as well. 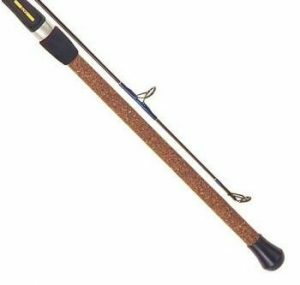 The Hurricane Calico Jack is known to be one of the best freshwater fishing rods but it can also be used for saltwater fishing. It is great value for money and comes with a decent quality. It's attention to details are above average and comes with plenty of important features. We liked the fact it is well-made and strong. We also appreciate the design and some elements which are ‘’borrowed’’ from more expensive models. You can have it in sizes between 7 and 8 feet. All are medium models, but you can choose between light, medium and heavy. These guides are of superb quality and strength. They are only commonly seen on more expensive models and that is why we were shocked that it can be found in this humble model. Bottom line, value for money! This is one of the most popular types of material used in rod construction. The benefits are good strength, reasonable weight, and durability. We would recommend this model for beginners and those who are looking for an affordable model, with great quality. This model comes with an impressive design and superb capabilities. It isn’t suitable for beginners, but rather for professionals. You can see the TC4 tip, carbon elements, and powerful reel compatibility. Guides are reinforced and diamond polished. Overall, the attention to details is epic and the rod looks even better. As the name suggests, the tested model is designed to be used with deadly Shimano Butterfly Jigs. These are powerful modules which are just perfect if you have heavy-duty applications on your mind. So yes, this rod is ideal if you are planning to use it for advanced fishing. The handle is made of EVA foam. This makes it usable in all possible weather conditions and it makes the grip phenomenal. You will like the comfort as well. In addition, the attention to details, besides the handle is on a high level. Most of the times, us, as a buyer, would expect the products we are going to buy is the most perfect, or at least meet our expectation. Same goes for buying the best spinning rod. As such, you are going to need a buyer’s guide which will help you make the right choice. Keep in mind that here we will be completely focused on spinning rods specifically. They are different than fly fishing rods and casting rods which we will be explaining below. Anyway, you should know that choosing the best rod of this kind is more than just complicated. There are a lot of factors to consider and there are a lot of things to keep in your mind. Basically, you should pay close attention to the reviews we have provided for you. These are the best models at the moment and the ones that will be the safest choice after all. Anyway, with our buyer’s guide we hope that it will be able to help you understand why the mentioned models are even on our list. Yes, this is a small feature which has a huge overall effect on the rod. There are three main possibilities, and each one comes with pros and cons. Some of them are ideal for users who like traditional handles, while others are high-tech and more advanced. Anyway, this factor should be based on your personal preference. Cork handles are the most common choice of them all. They are also known as traditional handles and they offer superb grip and they are durable. However, they don’t look very nice and they are not immune to stains. If you like traditional features, this type of handle is the one. EVA foam handles are the next best thing. They are newer than cork handles and they come immune to the stains. 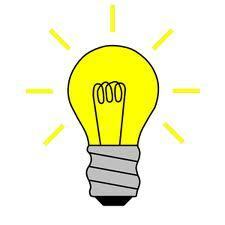 They are also ideal if you plan to keep the rod in the holder for a longer period of time. We should point out that these handles look better and they are more appealing for the new fishermen. The third type of handles is the one which allows you to put the finger on them. This is an advantage because it helps you with the maneuverability and the sensitivity. However, they are still rare and usually reserved for some, high end rods. As some of you will probably know, a reel seat is a mandatory element to keep into consideration. It is a game changer. 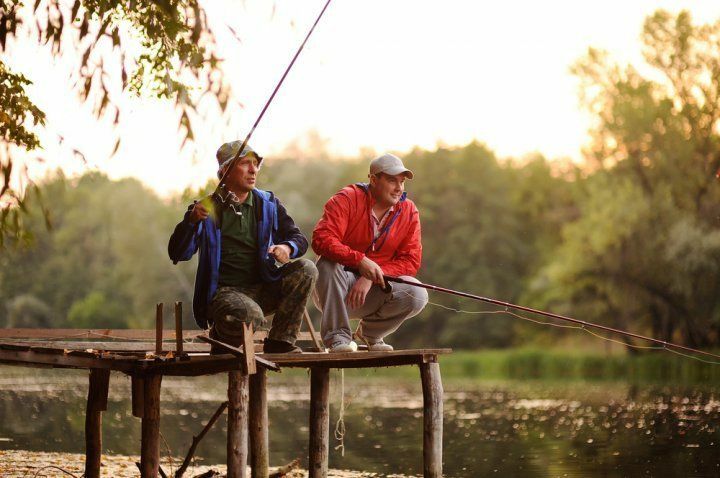 For instance, if you have a loose reel seat, your fishing session will be compromised. Sensitivity will be affected and the overall result will probably be negative. 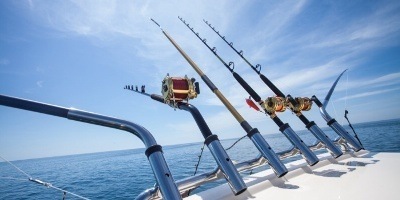 That’s why you must look for rods with high-quality reel seat. Reel seat must stay in place and firm at any given moment and it must not move even slightly. All models we tested come with this type of reel seat. In addition, a reel seat must stay perfectly in place even after years of use. 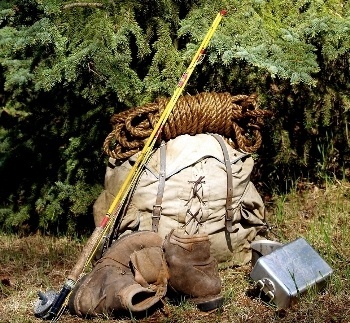 Here is no need in telling you that guides are an important factor to consider. They are used to guide the line, but a more important thing is how they perform. We can see plastic guides. They are obviously reserved for absolute beginners and they should be used only if you don’t plan to make some impressive result. Of course, they are very cheap. The next type is aluminum models. They are decent, but they are soft and not very resistant to wear and tear. We can see them on medium-grade models. However, nickel-titanium and ceramic guides are the top of the line. They are the most appealing simply because they are resistant to wear and tear and they won’t corrode, under any weather. We can also see that ceramic models are superb when it comes to sensitivity transfer. The bottom line is that these two types must be on your list. They are the best of the best and they should be considered as the top choice, period. 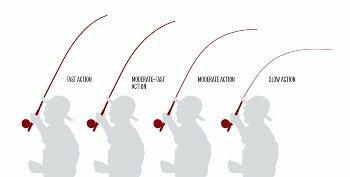 Here you can see that all spinning rods are divided or categorized as slow, moderate and fast. The fast ones will bend at the top only. Moderate ones will bend in the midsection while the heavy ones will bend through the entire length. For smaller fish, fast ones are the best. For medium fish, medium action rods are preferable and the slow ones are ideal when using a live bait and when fishing a big fish. That’s why your fishing method will determine this factor. Beginners should always start with fast spinning rods. They offer the best action for the most purposes. 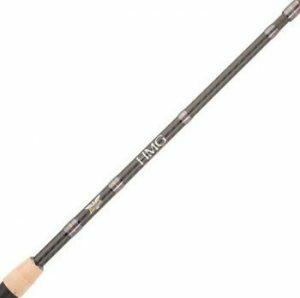 But if you are a professional, you will know that a slow or medium spinning rod is more purpose-focused and this is its main advantage. Power of a spinning rod is linked to the weight and to the type of fish you are fishing. You can see models which are categorized as heavy, medium heavy, medium, light, and ultra-light. If you fish smaller fish, you will need less power, so you will go for the light rod. If you fish bigger fish, you will need more power, therefore you will choose a heavy rod. So yes, the factor is determined by the type of fish you will fish and this is an essential factor to keep into consideration. You don’t want to use a heavy model for small fish. It is almost impossible and it won’t help you get any impressive results. In the lack of a better word, we can see two options. Here, you will choose between graphite and fiberglass spinning rods. No, they are not the same and they have different features. The graphite models are still considered as traditional and they come as the most sensitive models out there. Keep in mind that the modulus is used to measure how efficient the rod is. You can see values between 33 and 64 million. For example, the IM6 has 30 million modulus. The higher the number, the stronger the rod will be, especially for its weight. This also means that the rod will be smaller. Even today, graphite models are the most popular of them all and probably one of the first choices to consider. However, they are more suitable for fishing small fish. Fiberglass units have modulus between 6 and 13 million. They are more appealing to big fish and they are extremely durable. However, they are less sensitive than graphite versions. So, you get less sensitivity and a better durability. Don’t forget that the higher the modulus means the higher brittleness as well. The last type of the material is actually a mixture of the mentioned two. They are known as composite rods and they are made of the mixture of graphite and fiberglass. For some of you, they will be the first choice. They are extremely strong and durable, yet they offer superb sensitivity. The only drawback is in the looks of the rods. The blending isn’t smooth and looks like a big issue for some users. This is an important factor as well. If you are looking for the best spinning rods, you will notice that all manufacturers offer single rod available in different versions. You can choose between power and sensitivity a rod has. Now, most of you believe that they are made of the same material and they have exactly the same advantages. However, these rods look the same but they are made with different techniques. As you should know by now, heavier models have a different amount of modulus, meaning that their construction is slightly different. Always look for this factor, simply because it can make a huge difference and it allows you to get the version of a model which is the most suitable for you. Not all spinning rods have the same size. In this case scenario, we were able to see that the size goes between 5 and 8 feet. Where will you fish? Answer this question and you will see which size is the most suitable for you. If you fish on the open, the bigger is better. If you fish on rivers or somewhere you are limited by the environment, a smaller version is always a better choice. How great your new rod will be when the time for transport comes? Some models can be completely folded. Others can’t. Make sure you consider the factor as soon as possible. It also affects where you will place or store the rod back at home. 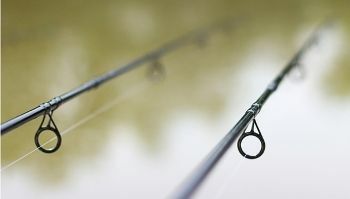 In order not to make a mistake, we must point out that there are obvious differences between casting and spinning rods. The spinning rods are designed to have guides on the bottom of the unit and the reel is positioned at the bottom as well. 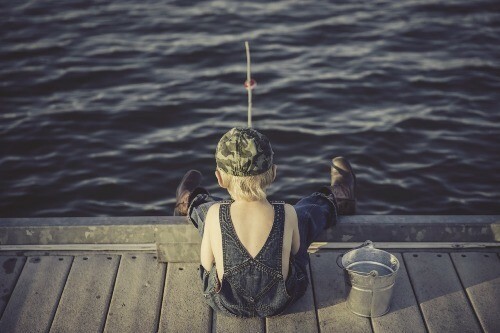 Usually, the handle is focused on a weaker hand of a fisherman, so he holds the rod with his stronger hand. When the fish bites, the guides will be directed towards the water, so they will go down. Spinning rod units are preferable choice of beginners and they are usually more affordable. Casting rod is simply an opposite version of the spinning rod. In this case scenario, the guides are on the top of the rod. The same goes for the reel. The advantages are completely opposite as well and these rods are more suitable for experienced users. 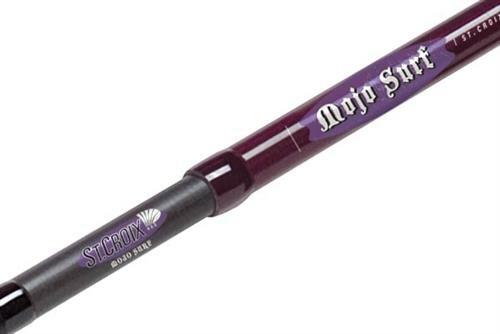 Check out our reviews on our top lists of Best Casting Rods. 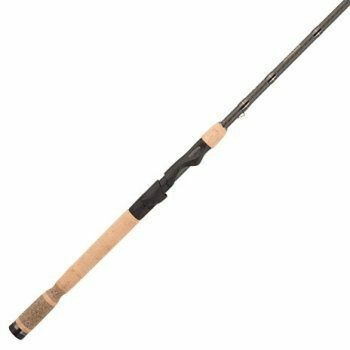 In conclusion, we find that the St Croix Premier Series spinning rod appears to be the best spinning rod considering its features and specifications. This model offers the best level of quality, comes with lots of great features and at the same time, still reasonably expensive. Therefore, without a doubt, it is rated at 5 out of 5 stars and highly recommend. However, for some of you, other models on our list may also look appealing and desirable. They are simply stunning in general and they are probably the best in their own class and category. Feel free to check them out too as all 8 models from our list offers quality, great guides and they are surely made to last.